To get tight, lean muscle, you need to exercise your body. Strength-training exercises are most effective for getting those muscle gains you're after. However, without proper nutrition you're not going to see your tight, lean and strong muscles. With a combination of muscle-building exercises and a nutritious diet full of protein-rich foods, healthy fats and lots of vitamin-rich fruits and vegetables, you can build that strong, defined muscle you're after. 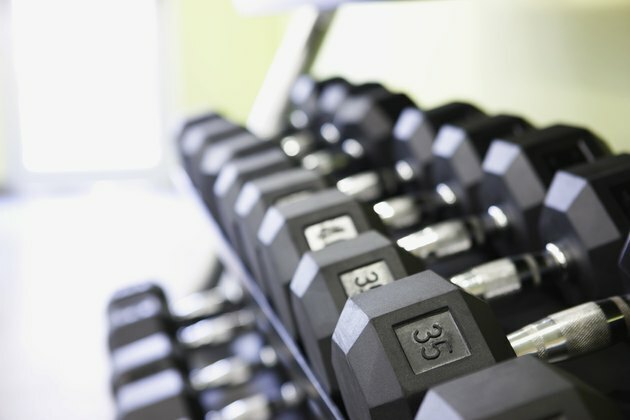 To gain lean muscle, you need to make weight training exercises a major part of your total workout regimen. With exercises using weight machines and free weights, you can get maximum muscle gains. Start with a single set of 12 reps for each exercise -- squats, lunges, triceps overhead extensions, step-ups, and bicep curls to name a few -- and gradually work your way up to three sets of 12 reps. To build muscle and avoid injury, use an amount of weight that is manageable without making you strain, but which still gives you resistance and challenges you the last few reps. Only increase the weight when you are no longer feeling challenged, to avoid plateauing. You may know the right types of exercises to include in your total workout plan, but without a schedule to stick to, you're not going to see much progress. You should be doing your strength-training workout at least three to four times a week, alternating your upper and lower body workouts when possible so your muscles get adequate rest. This rest period is the time your muscles repair themselves, growing bigger and stronger as a result. Stretching is important after your strength-training workout. It helps give your muscles time to cool down and promotes flexibility, reducing stiffness and soreness the next day. Studies published in the "Journal of Strength and Conditioning Research" and the "Scandinavian Journal of Medicine and Science in Sports" support the theory that while stretching after a workout is important, stretching before can actually be counterproductive. Stick to static stretches post-workout, holding each stretch in place for 30 seconds to get results without risk of injuring yourself. You should only feel a light stretch in the muscle, never any pain. You can workout as hard as you want, but if you're not getting the nutrition you need, you won't have the energy to put into your workouts and you won't get the muscle gains you're after as a result. 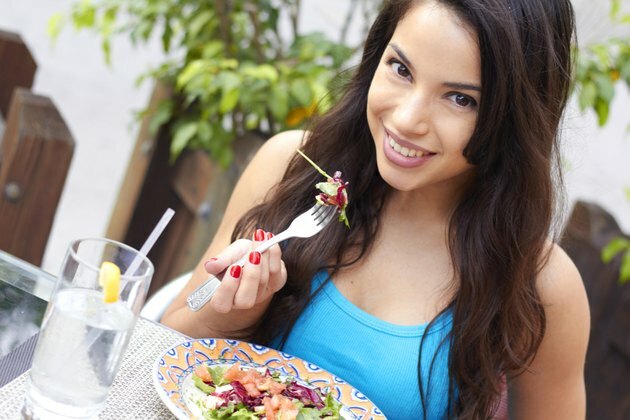 Eat five to six smaller healthy meals a day instead of three larger meals. This keeps your body feeling more energized through the day and prevents snacking. Create a well-rounded diet that includes lean protein and complex carbohydrates, healthy fats and vitamins -- and avoid excess sugar and salt to hinder water retention and fat gain. No workout is complete without the addition of some cardio activity. You can work as hard as you want to build lean, strong muscle, but if you have thick layers of fat over the top of it, you won't be able to see your progress. 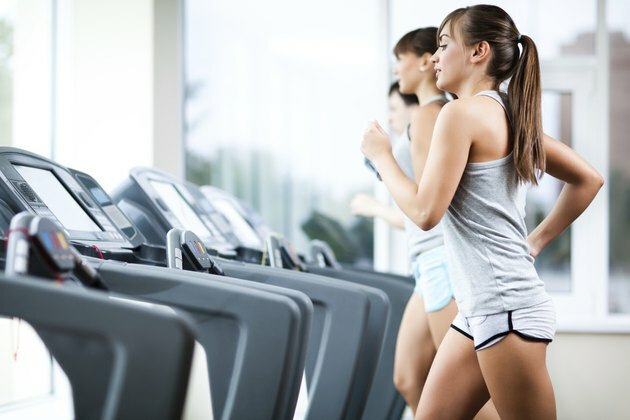 Cardio exercise blasts away calories and burns body fat, revealing those tight, toned muscles underneath. Include four to five 30- to 40-minute sessions per week, with activities such as jumping rope, burpees, jumping jacks, pushups and running -- these are a few of the most effective fat-burning cardio exercises.